I have really been ragging lately on Instagram’s popular page and for good reason. It’s like being stuck in a school with a bunch of teenagers. No offense to teenagers, but there are better things to do than listen to your problems and or philosophy (sometimes there is no distinguishing of the two) or look at feeds of your face or underwear. 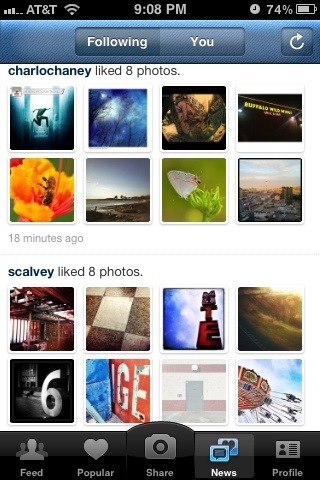 But, lately I have found inspiration from an alternative to the popular page. There are two options at the top of the News page labeled Following/You. The ‘You’ page shows all the likes and messages you have received, while the ‘Following’ shows the likes and messages that are sent from the people you follow. 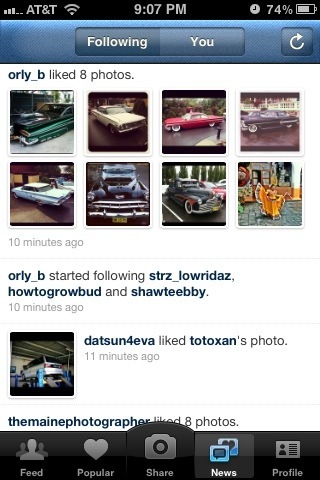 Following is the alternative popular page. Here is the method of my madness. 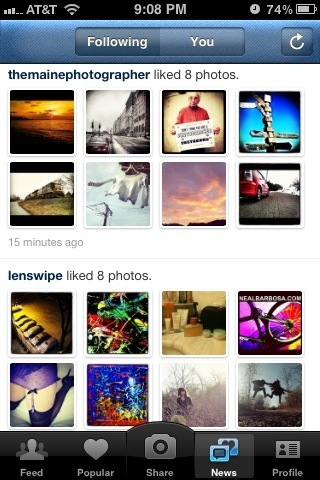 The Popular Page give the user no control over what images populate the page. There is no criteria or delete measures, only ‘likes’. These ‘likes’ are given out recklessly by individuals because they want followers, and followers ‘likes’ are what propel you to the popular page. Here’s the pièce de résistance. The Following page is populated by photographers you have chosen to follow. They have images that are excellent, and in turn, they are following other great photographers also. The images they ‘like’ can help you find inspiring images and photographers without being contaminated by the nonsense on the popular page. Go there and check it out. You will be amazed by the quality, and hopefully be inspired at the same time. You are currently reading The Other Popular Page at Joseph Ferreira.